When Lemuel Gulliver sets off from London on a sea voyage, little does he know the many incredible misadventures awaiting. Shipwrecked at sea, nearly drowned, he washes ashore upon an exotic island called Liliput–where the people are only 6″ tall. Next he visits a land of incredible giants called the Brobdingnagians. They are more than 60′ tall. He travels to Lapauta, a city that floats in the city, & to Glubbdubdrib, the Island of Sorcerers. his final voyage brings him into contact with the Yahoos–a brutish race of subhumans–& an intelligently virtuous race of horse, the Houyhnhnms. I appreciate how Lemuel Gulliver’s perspective changed from part one to part four. During his first voyage, Gulliver describes the characters and their actions as they unfold before him. He speaks from a distant, purely curious, point of view and doesn’t consider himself to be a citizen of Lilliput. However, after his fourth voyage Gulliver learns to communicate with the Houyhnhnms and strangely begins to refer to himself as one of them. Gulliver is seen as an individual governing the seas alone. 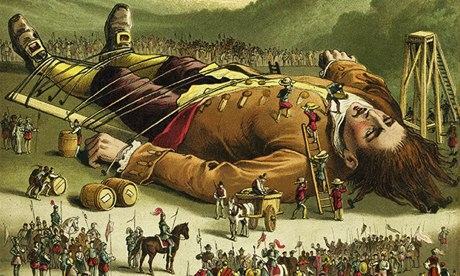 The idea that Gulliver’s wife and children received him with great surprise and joy after his long adventures seems inconsistent with the values of modern society. By rarely mentioning Gulliver’s family, he is seen as an individual casually wandering the seas without any real purpose in life. An interesting link is developed between the societies that Gulliver meets on his voyages and the human society that he resides in. Gulliver spent years living amongst two flawed communities and when he returns to England, subsequently finds flaws with his family and friends. Swift has written this to ironically illustrate to the reader that England’s political controversies are an indication that all of mankind are flawed. Hence, why Gulliver wishes to live like a horse. This is probably my favourite section of the book, because Gulliver speaks about his family with bitterness and cynicism. His mental state seems to have significantly deteriorated and the reader can’t help but doubt his reliability as a narrator. Gulliver’s decision to buy horses upon returning to England shows this mental deterioration. This highlights a theme of alienation (particularly evident during his fourth voyage), which is emphasised by Gulliver’s return to England because he rejects human society and refers to Don Pedro de Mendez as a Yahoo. 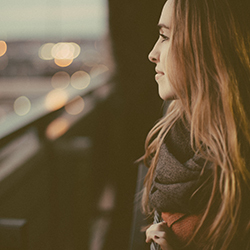 Welcome to Jess Just Reads, a book review blog showcasing the latest fiction, non-fiction, children's and young adult books.